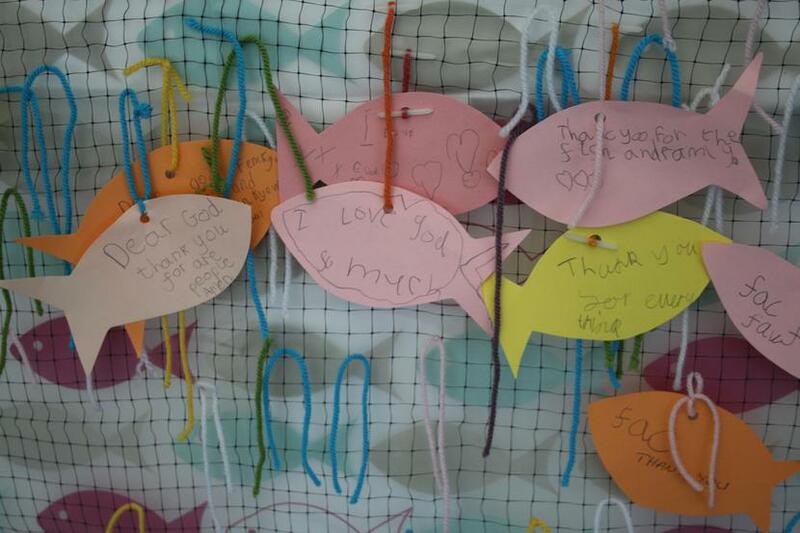 This term, you may have noticed our prayer net which has been displayed in the lobby. 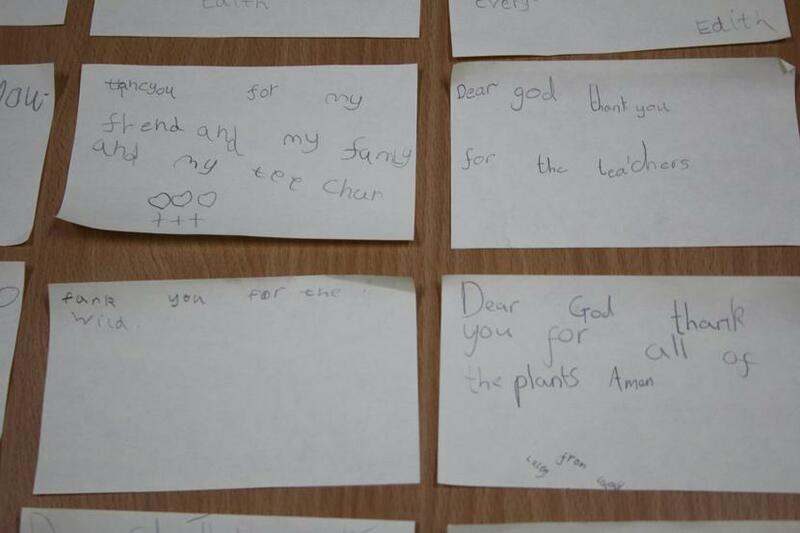 The children have really loved this interactive area where they have been busy writing prayers of thanks for all kinds of things and also asking God to help them in their daily lives. 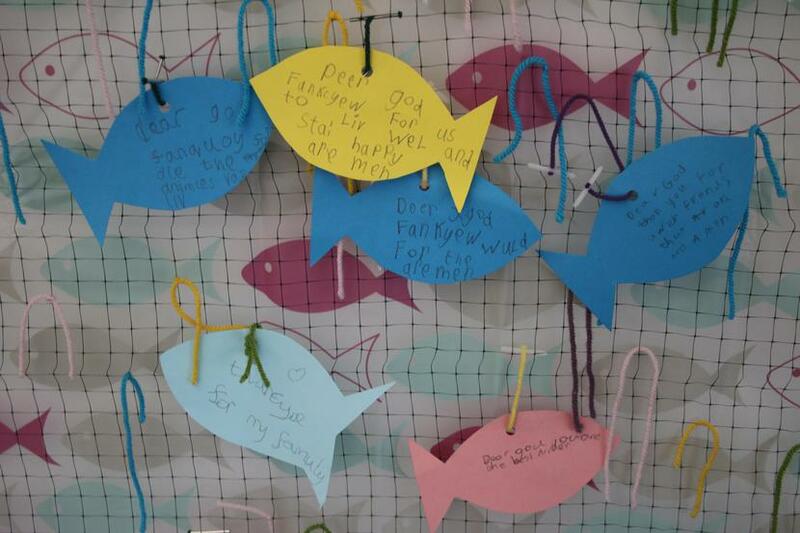 We started off with post-it notes but Miss Canty had the great idea that we should write them onto fish for our net. 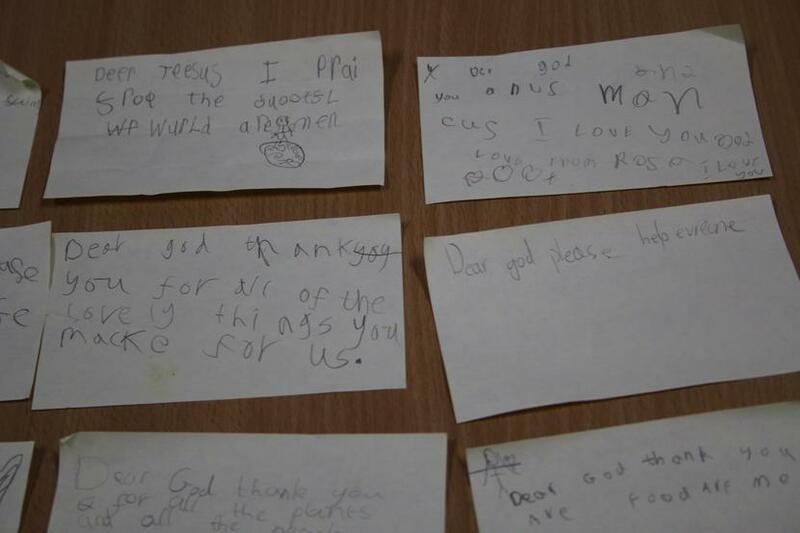 It has been lovely to see the children engage so well and to be demonstrating how they care about their community.